With a melodious voice, love for music and a Filmfare Award tucked under his arms, Benny Dayal's foray into music is nothing short of a dream come true. 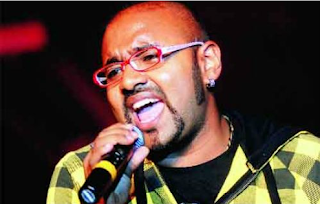 Benny's known for his chartbusting songs Rehna Tu (Delhi-6), Kaise Mujhe Tum Mil Gayi (Ghajini), Pappu Can't Dance Saala and Nazrein Milana (Jaane Tu Ya Jaane Na), and Tarkeebein and Dum Dum (Band Baaja Baarat). A relaxed Benny talks to us about his journey so far. You have a diploma in journalism and yet you are making music. How did that happen? I love music and always wanted to become a singer. Initially my parents were reluctant and I did this for them. But yes, college helped me improve my knowledge and my attitude towards life. I have been musically enhanced; it has helped me in knowing about competition and what life could be as a singer. It has certainly helped me a lot. Your musical journey kickstarted after you won a music reality show. Do you think these shows really offer a platform to showcase talent? Reality shows are a great platform for young singers. Some people are of the opinion that such shows are very commercial and singers do not sing original compositions. I wouldn't agree. These shows are not just commercial. And so what if singers don't sing original compositions? They still have talent and that's what matters isn't it? But everyone is entitled to their opinion. Yes! I am thankful to my parents and my friends' prayers. It was nothing short of a miracle. AR Rahman is a huge inspiration and gives hope to a lot of youngsters. He influenced me even as a child and I owe everything to him. He has made people believe in music and I am lucky to be amongst the chosen few to have worked with him. Are your parents happy now? Well, initially, even when AR Rahman's offer came, it didn't excite them much because they were thinking- what next? But yes they are very proud of me now and I have been able to achieve my dream. There was a phase when we had only a few singers like Sonu Nigam or Udit Narayan ruling the charts. Now with so many new singers, how difficult is it to get recognized? It is about reinventing yourself; about listening and learning. There are a lot of music composers as well. Everybody is uniquely talented and you are a competition to yourself. Music composers are directors, they direct. It is about adapting to their different styles. We cannot grow without change. What is your take on the current music scenario, where songs like DK Bose are huge hits? It is about the freedom of expression. I personally love this song and anything that entertains the crowds, works. Such songs are directed towards youngsters like us and aren't we the future? Aamir Khan's movies always have an iconic song. Whether it was Papa Kehte Hain in Qayamat Se Qayamat Tak or Pehla Nasha in Jo Jeeta Wahi Sikandar or Aal Izz Well in 3 idiots. These songs are evergreen. I feel it's a cyclic thing. There was Choli Ke Peeche Kya Hai in Khalnayak and now we have Sheila ki Jawani. It's a healthy thing. You have acted in a movie? Would you like to take up acting as well? We (all band members) featured in a song. But I have no plans to take up acting. It requires too much hard work and I am slightly lazy. I am not keen on workouts and can't make the effort to look trim and slim. I like to spread my energy through my songs.